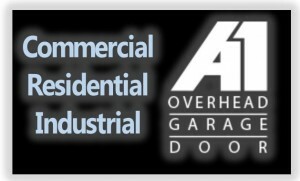 A1 Overhead Garage Door has been serving the Boston area community since 1990 with guaranteed quality, affordable prices, account reliability, and outstanding service. We take pride in our work and our business. We offer residential and commercial installation and repair, with free estimates. With over 25 years in the overhead door installation and repair business, A1 Overhead Garage Door can provide solutions to any of your current needs. We are fully licensed and insured and your satisfaction is our top priority. Experience, quality, affordability, and complete customer satisfaction define our business. Call for a quote or inquiry today.